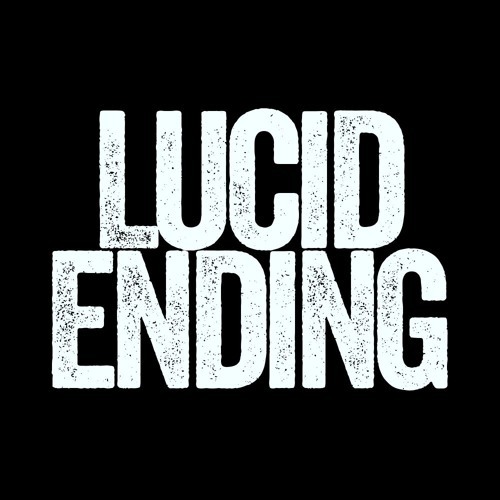 Lucid Ending is a new alternative rock band from Edmonton, AB. Trevor Ahmet – Vocals, Lead Guitar Known as the High Stakes Joker because of his love of action and adrenaline, Ahmet is a professional poker player by trade with a love of alternative rock music. After many years of contemplation, Lucid Ending was formed with long-time friend and business partner Steven Mahoney. Ahmet’s primary musical influences include Red Hot Chili Peppers, Bush, Weezer, Royal Blood, Cage The Elephant, Incubus and Everclear. Steve Mahoney – Rhythm Guitar, Producer A music producer and composer with over ten years experience, Steve Mahoney is most known for his work as a rap & hip-hop producer under the trade name White Hot. For several years he worked out of DJ Khaled’s We The Best Studio in Miami as Ace Hood’s in-house producer. His latest work includes composing 3 songs for the video game Mass Effect: Andromeda as part of the EDM duo @wearedeepsix Logan Cunningham – Drummer, Percussionist A drummer & percussionist for the last decade, Logan has played with a handful of acts in the Edmonton area. He debuted on Matchbreakers EP "No Windows" in it's entirety, as well as playing on local band Hungry Hollow's track The Fix from their album "Drive". Logan has proved to be more than proficient in the rock/alternative style. His influences can best be described as an eclectic mix of rock 'n' roll; for Lucid Ending, influences he draws on most would be Our Lady Peace, Nirvana, Bush, I Mother Earth, The Tea Party, SoundGarden, Red Hot Chili Peppers, The Smashing Pumpkins, Incubus and Cage The Elephant. Christian Wade – Bass Guitar, Backing Vocals With just over nine years of experience, Wade has written and recorded music in various bands including The Spanish Flies and Escape City. Wade’s primary music influences include Portugal. The Man, The Black Keys, Red Hot Chili Peppers, The Silversun Pickups, Said The Whale, Muse, and The Heavy.